The Sims 3 for iPod iPhone will inspire you with endless creative possibilities and amuse you with unexpected moments of surprise and mischief! Create over a million unique Sims and control their lives with The Sims 3 for iPod iPhone. Customize everything from their appearances, to their personalities and even the home of their dreams. Then, send your Sims out to explore new locations around town and to meet other Sims in the neighborhood. ...... With all-new quick challenges and rewarding game play, The Sims 3 gives you the freedom to choose whether (or not!) to fulfill your Sims destinies and make their wishes come true. From the best-selling PC franchise in history, EA Mobile has released The Sims 3 for iPod iPhone as an iPhone/ iPod touch game! Direct the lives of your Sims using touch and accelerometer controls while exploring the 3D neighborhood. Customize their looks & personality. Give them big browns or baby blues. Cover their head in curls or have them sport a mohawk. Make them Neurotic, Funny, or Shy. Choose their career. Take them fishing. Watch as they fall in love. With The Sims 3, THE POSSIBILITIES ARE ENDLESS! Putting together a team that will help you play out the crime of the century! A application for small to medium size clubs. The very depths of the living organism. Qweas is providing links to The Sims 3 for iPod iPhone as a courtesy, and makes no representations regarding The Sims 3 or any other applications or any information related thereto. Any questions, complaints or claims regarding this application The Sims 3 for iPod iPhone must be directed to the appropriate software vendor. 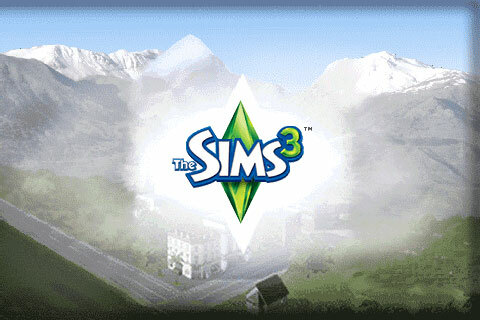 You may click the publisher link of The Sims 3 on the top of this page to get more details about the vendor.